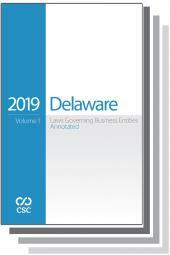 Since 1866, smart practitioners have turned to Deering's California Codes as their choice for fast, accurate statutory research. This extensive annotated code set provides coverage of everything you need to know about all California codes, the California Constitution, rules of court and state bars. Up-to-date casenote annotations provide coverage of all significant state court decisions construing California law. It also includes more than 4,000 suggested forms integrated with the appropriate code sections. Since 1866, smart practitioners have turned to Deering's California Codes Annotated as their choice for fast, accurate statutory research. 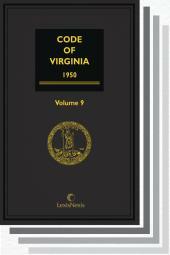 This extensive annotated code set provides coverage of everything you need to know about all California codes, the California Constitution, rules of court and state bars. Up-to-date casenote annotations provide coverage of all significant state court decisions construing California law. It also includes more than 4,000 suggested forms integrated with the appropriate code sections. 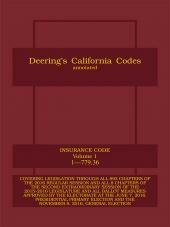 Deering's California Codes Annotated is also available on CD-ROM with links to California Law on LexisNexis CD-ROM. ACT 7303. "The Santa Barbara County Water Agency Act"